The Guns! Thank God, the Guns! You've heard that phrase often​ and seen it attached various paintings and photographs. 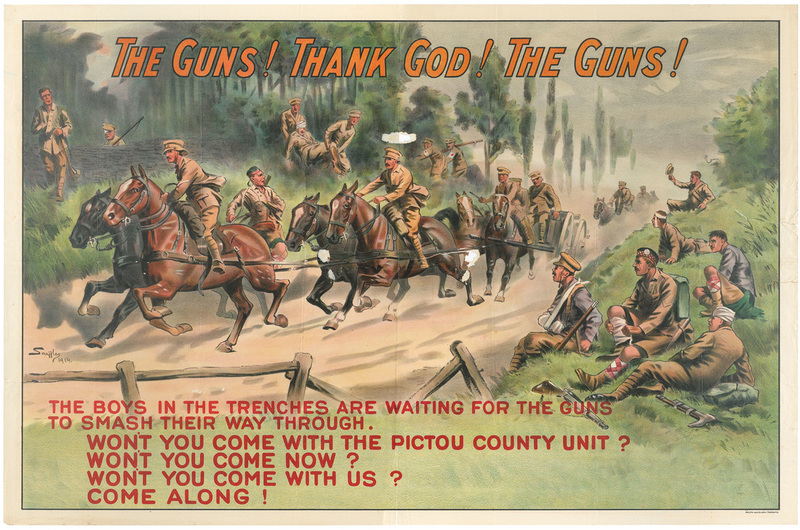 You might even have seen it on recruiting posters such as the one provided by the Nova Scotia Archives. You've probably even heard it attributed to Rudyard Kipling. However, you probably thought it was some lost verse of the "Screw Guns." Here's the original poem in its entirety. Perhaps we can discuss the wording over a beer in the Mess one day! “You bike,” “you bykwee,” “ubbikwee” – alludin’ to R. A.
An’ when you’ve found out all it means I’ll tell you ‘alf the rest. Ubique means five gunners’ ‘ash before you’ve loosed a round. Ubique means Blue Fuse, an’ make the ‘ole to sink the trail. Ubique means stand up an’ take the Mauser’s ‘alf-mile ‘ail. Ubique means the crazy team not God nor man can ‘old. Ubique means that ‘orse’s scream which turns your innards cold! Ubique means mirage again an’ shellin’ all outdoors. Ubique means “Of-load your guns” – at midnight in the rain! Ubique means the R.A.M.R. Infantillery Corps. The following is a partial list of the guns that have been served by the Vancouver Gunners. You will notice that several of them predate the formation of 15th Field Artillery Regiment, RCA. I've included them in order to give a historic accounting of the Guns that can be seen mounted in locations around the Lower Mainland. 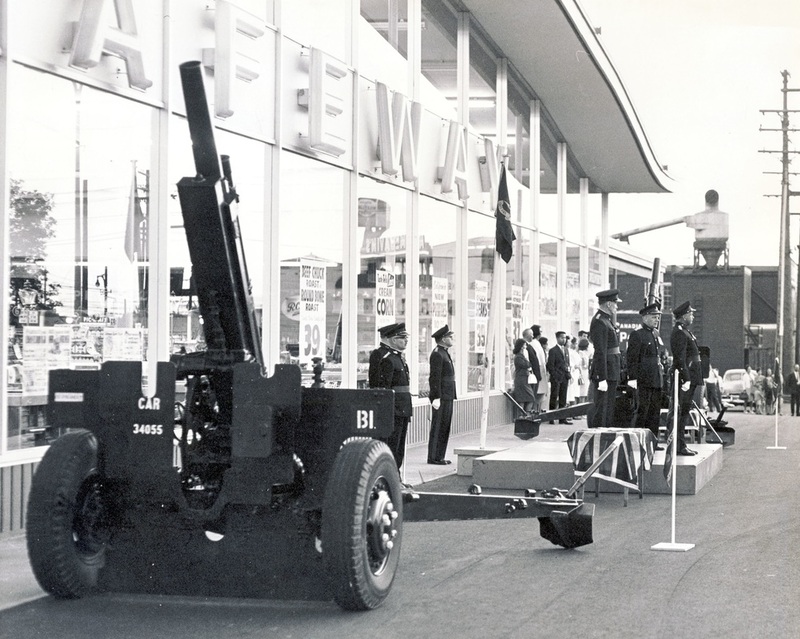 I've also included air defence weapons as the 43rd Medium Anti-Aircraft Regiment, RCA was amalgamated with 15th Field Regiment and we will be rolling their history into the yearbook as we walk through the past. 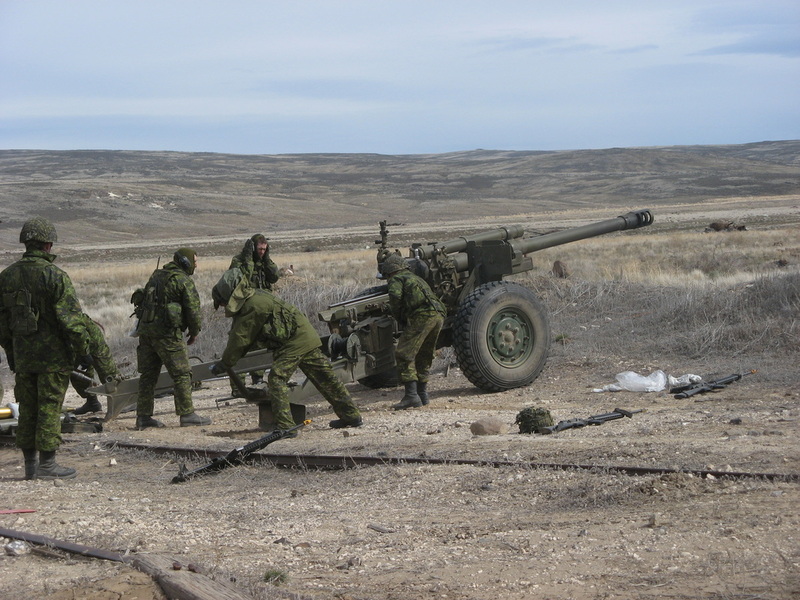 The C3 Howitzer is a close support, field artillery weapon that is mobile, general purpose, light towed, and has the capability to fire extended range munitions up to 18 kilometres. The C3 is manually operated, single-loaded and air-cooled. It uses semi-fixed ammunition and consists of the cannon assembly, the carriage and the recoil mechanism. It can easily be employed for direct or indirect fire and can be elevated to high angles to reach targets hidden from flat trajectory guns. The C3 is structurally similar to the C1 Howitzer, but is distinguished by its longer 33-calibre barrel and muzzle brake. The gun can fire all standard NATO 105-mm Howitzer ammunition. The C1 is a light 105mm towed howitzer. It fires NATO standard 105mm ammunition. The gun is normally towed by a vehicle, but can also be lifted by helicopter and transported by air. The 105mm C1 is manually operated, single loaded, air cooled and used semi-fixed ammunition, and is effective in both a direct and indirect firing role. The recoil mechanism is a hydro pneumatic system that absorbs the energy of recoil by forcing oil through restricted orifices and returns the Howitzer to battery by the reaction of a compressed gas. The carriage is of the single axle type. It is equipped with a screw type traversing mechanism. The elevating mechanism is of the arc and pinion type, with a worm and a worm wheel drive. The gun can be operated with a crew of five or seven, If necessary, deployment can be performed with a crew of three. The C1 howitzer was produced at Sorel Industries Ltd in Quebec and it incorporated all the latest revisions to the US M101 howitzer. The barrels manufactured at Sorel Industries in Canada were IAW M2A2 specs and were designated C1A1. The C2 is also a light 105mm towed howitzer that fires NATO standard 105mm ammunition. The gun is normally towed by a vehicle, but can also be lifted by helicopter and transported by air. The 105mm howitzer C2 were introduced in the CF inventory in 1952 to replace the 25 pdr field gun. The 105mm howitzer C2 was procured from the USA and the 105mm howitzer C1 was manufactured in Canada. The CDN C2 designation was given to the guns that were initially purchased from the US to provide initial fielding in 1952. 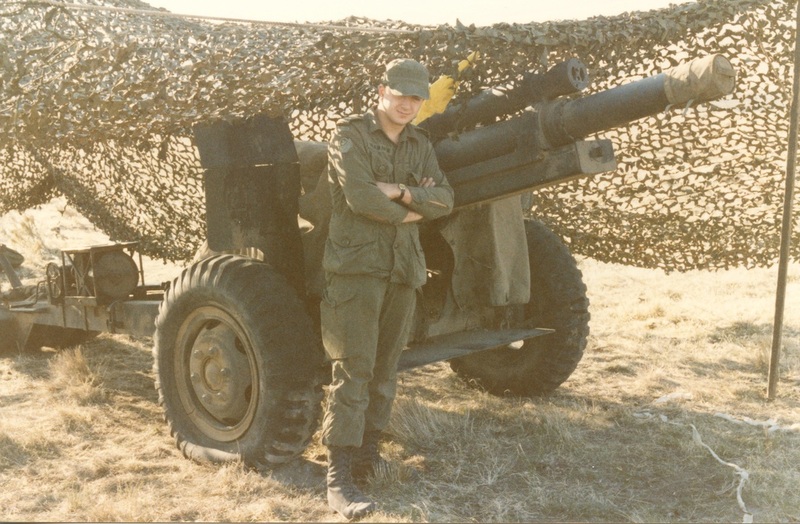 C1 and C2 howitzers were used interchangeably as a mixed fleet of the "105mm, Light, Towed" up into the '80s. Many older pubs still have "C1/C2, C1 and C2 " or the like in the text. All differences between the two guns are restricted to the ordnance and recoil mech; the carriages for both gun configurations are IAW "M2A2 Carriage" specifications. The development of the cannon tube actually only had 3 stages to it: stage one, barrel M2A1 (US), no barrel swell at muzzle and rifled full length; these barrels had problems with radial cracking at the muzzle; stage two, barrel M2A1 (US) modified, the modification was a counterbore at the muzzle where rifling was removed for 2"; this prevented radial cracking from starting; stage 3, barrel M2A2 (US), these barrels incorporated the counterbore modification at the muzzle and they also had an increase to the barrel thickness at the muzzle end. This 155-mm Howitzer was manufactured by Sorel Industries Limited in Quebec. 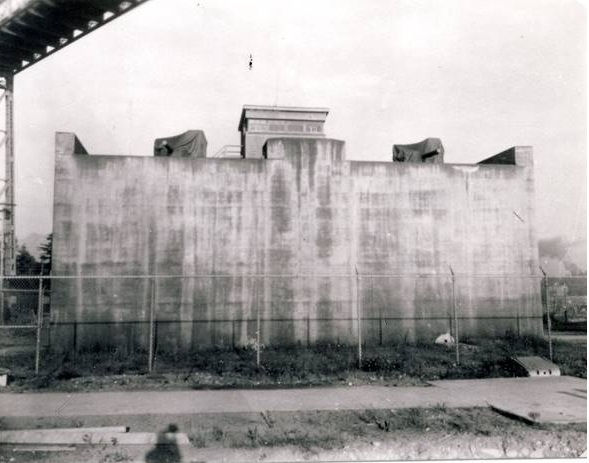 It was issued for a brief period of time in the 1960s to 85 Battery which was located at the Boundary Bay Airport. This British-designed Howitzer is one of the world’s classic artillery pieces. The 1.8 ton piece was issued early in the Second World War as a replacement for the earlier 18-pounder of First World War vintage. During its service, in addition to barrage, the gun was used in an anti-tank role and as a self-propelled unit. 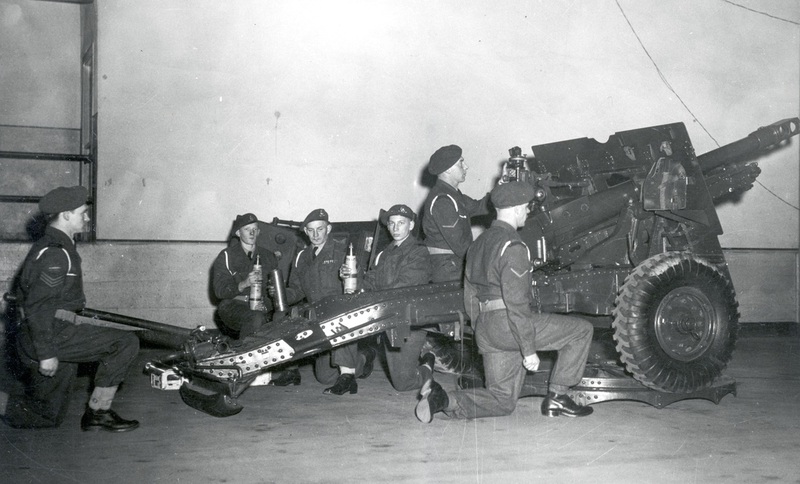 The crew of one Non-Commissioned Officer and five men could fire four rounds per minute and the piece would hurl a shell up to 13,400 yards.The 25-Pounder Field Gun/Howitzer was employed by the Royal Regiment of Canadian Artillery in both the Second World War and in the Korean conflict. 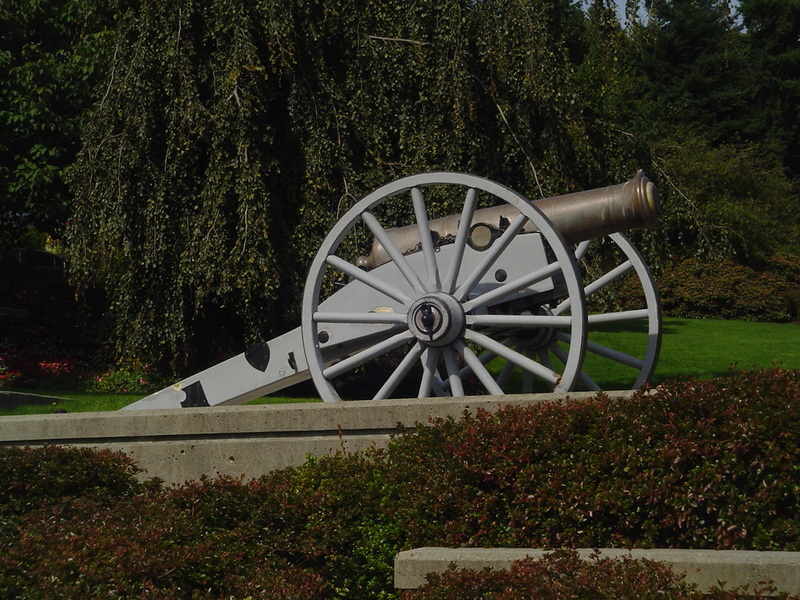 Two of these guns were originally mounted at Yorke Island at the beginning of World War II and subsequently traded with the 6" guns at Stanley Park. There history goes back even further than that, as they were originally mounted at Halifax Nova Scotia and were given to Canada on the handover of the Halifax Fortress in 1905.Their rate of fire was ten rounds per minute by day and eight by night. Maximum range was 11,800 yards although the effective range with automatic sights was usually half of that. Two of these guns were located atop the concrete gantry that had been erected at the base of the Lions Gate Bridge support at Narrows North. 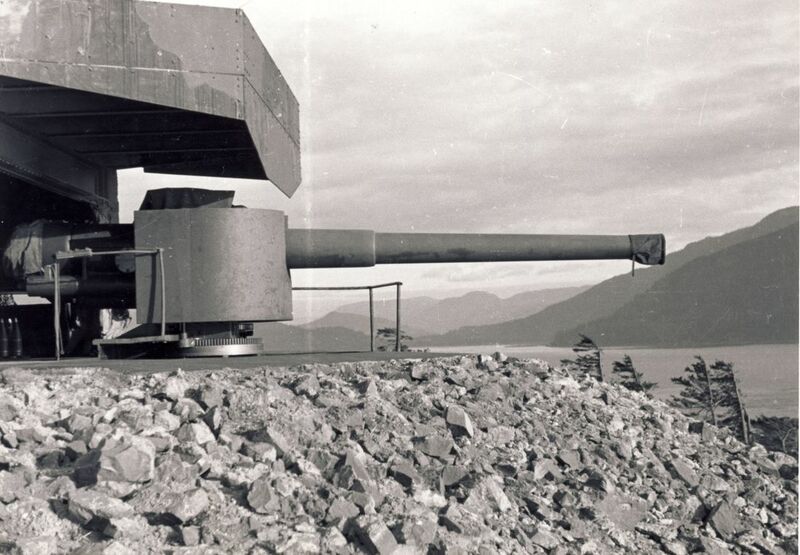 At the beginning of World War II, three of these guns were mounted at Point Grey and two were at Stanley Park. 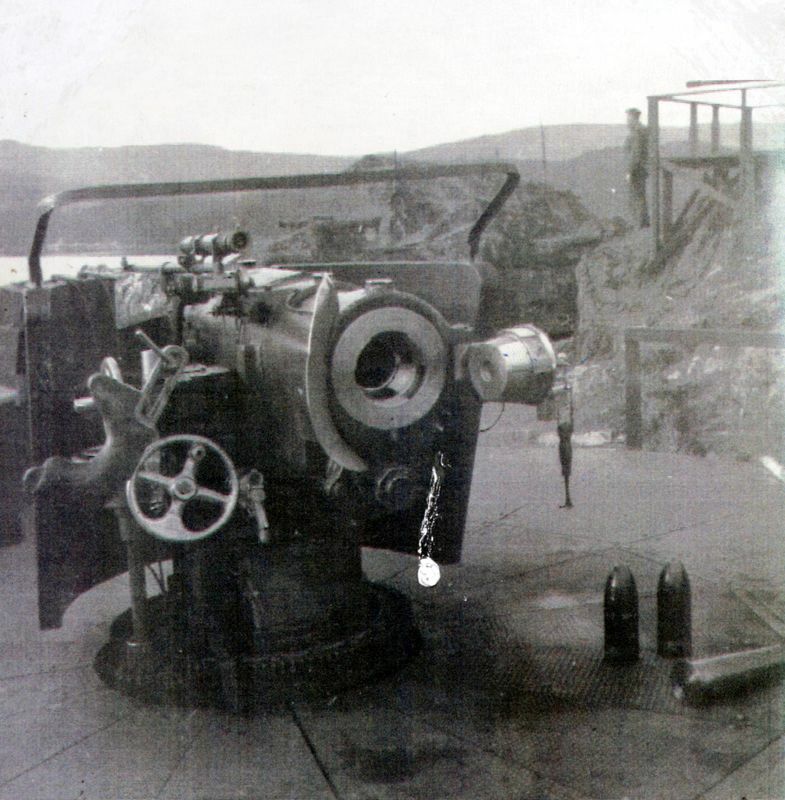 These guns were were deemed obsolete by the late thirties but there was little prospect of receiving upgrades in the near future so they were quickly moved out from Halifax and from Quebec City where they had been installed since the World War I. ​The maximum range was 12,000 yards and the weight of the shell was 100 lbs. 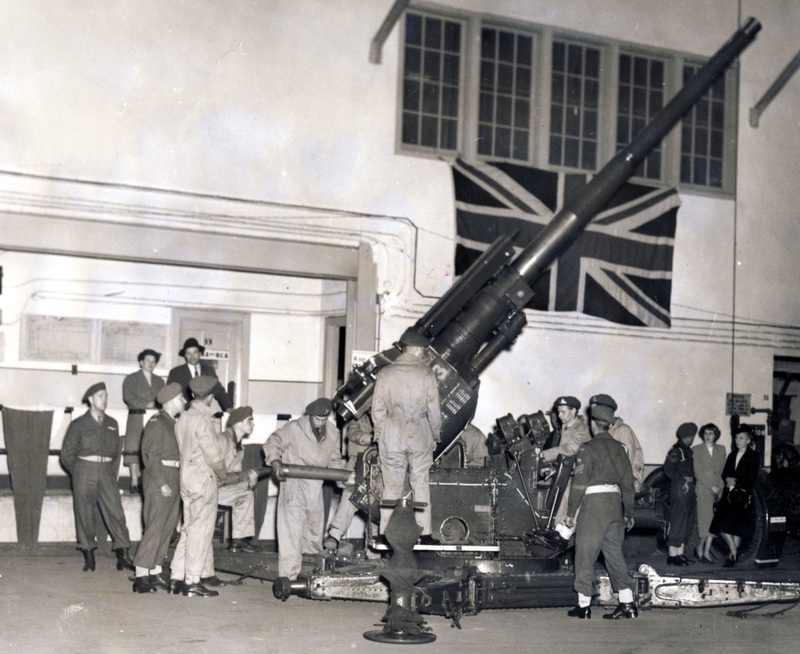 The 43 Heavy Anti-Aircraft Regiment, RCA was equipped with the 3.7 inch AA gun for the defence of Vancouver. 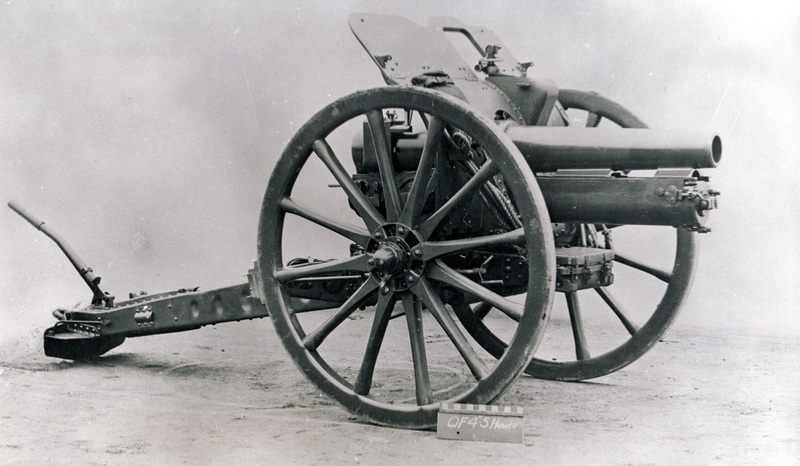 This British Ordnance gun was a 5 inch (127 mm) heavy field gun designed in 1903-05 to provide a new capability that had been partially met by the interim Quick Fire (QF) 4.7 inch Gun. It was designed for both horse draft and mechanical traction and served throughout the First World War in the main theatres. It remained in service with British and Commonwealth forces in the inter-war period and in frontline service with British and South African batteries until 1942 being superseded by the BL 4.5 inch Medium Gun. This howitzer was initially brought into service in 1909. The Mark II was introduced in 1917, rectifying a breechblock design defect in the earlier Mark I. 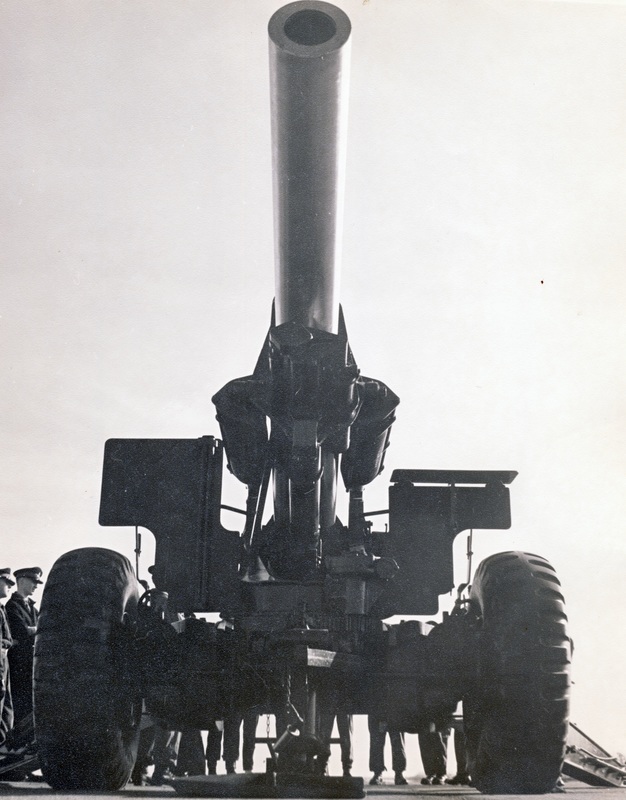 The gun was capable of firing a 16 kilogram shell to a range of almost 7 kilometres, however it was its capacity to fire at elevations of up to 45 degrees that made the weapon so effective. 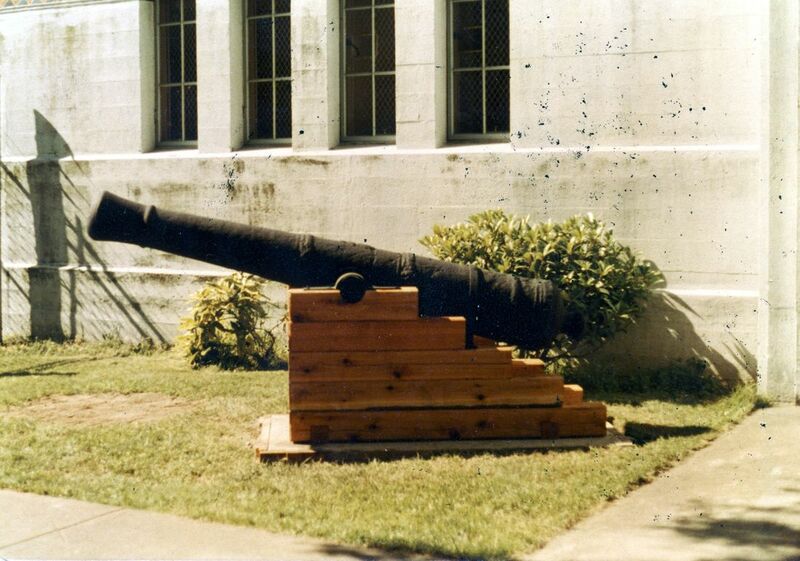 The high elevation allowed the gun to lob shells almost vertically into areas protected by traditional fortifications. The heavier 4.5 inch high explosive shell was found to be far more effective than the 18 pounder in damaging enemy parapets and trenches and thus found increasing use for this purpose. Over 3,300 4.5 inch howitzers were manufactured during the First World War. The Mark II design remained in service into the Second World War when they were finally replaced by the QF 25-Pounder. The term “quick-firing”, as employed at the beginning of the twentieth century, was applied to a gun that fired fixed ammunition and in addition was equipped with some effective form of recoil control. Fixed ammunition for guns had come into use in the early 1890's, after the silk cloth bag that contained the charge (propellant) had been replaced in certain breech-loading guns by a brass cartridge case that expanded when fired and thus acted as a seal for the gases at the breech. The innovation made it possible for guns of small calibre to have the cartridge case joined to the projectile, and the resulting “fixed ammunition” materially speeded up the process of loading. 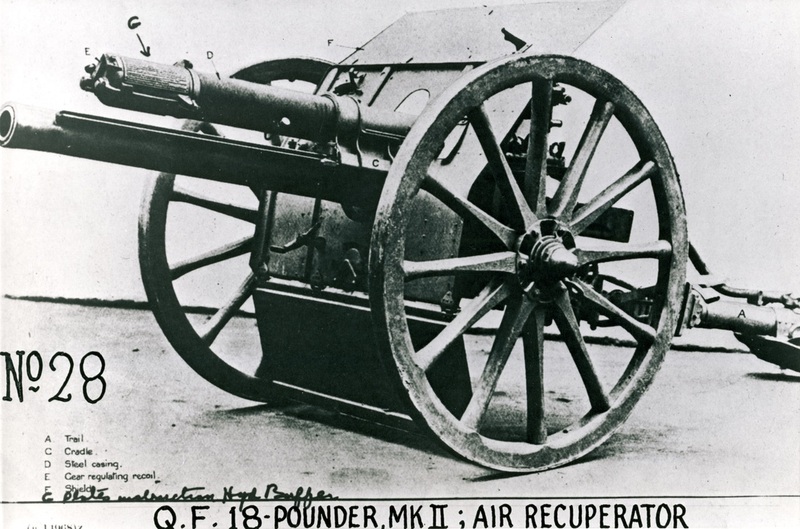 The 18 Pdrs were a composite of an Armstrong wire-wound gun (barrel and breech) mated to a Vickers recoil system, and sighting and elevation gear made in the Royal Ordnance factories. Check out our 18 pounder here. ​Check out the 18 Pounder Club page here. 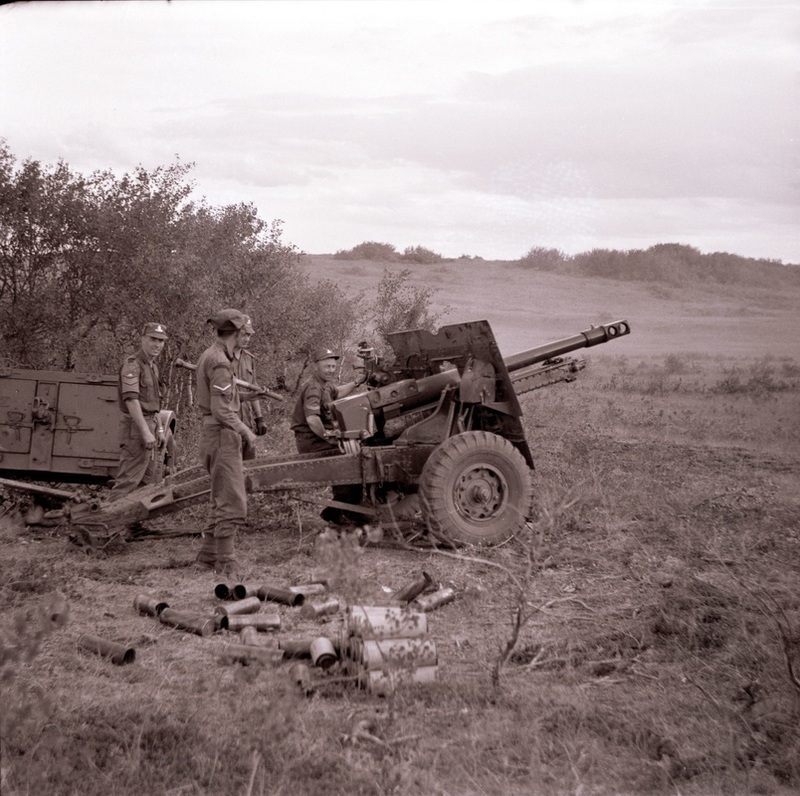 The 15th Field Artillery Regiment acquired this gun on amalgamation with 43rd Medium Anti-Aircraft Regiment which appears to have acquired it from the 102nd Coast Regiment on their amalgamation. 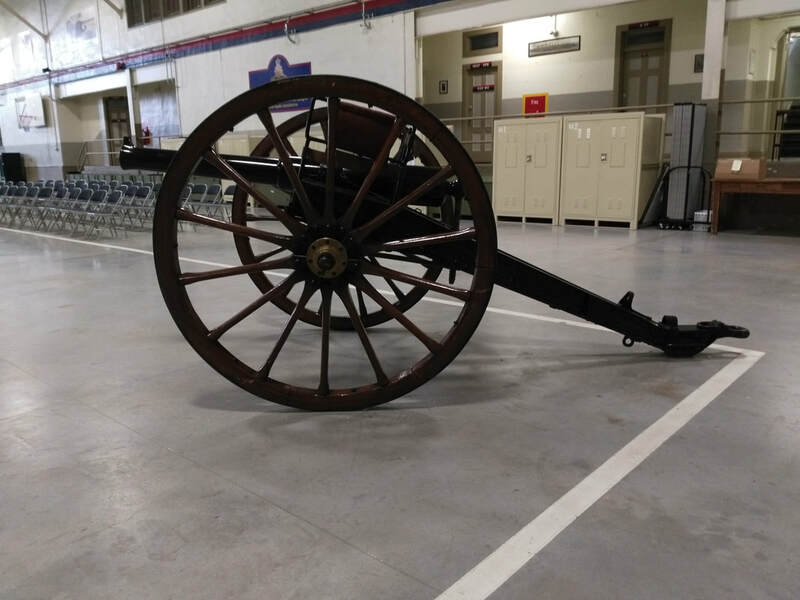 The Regiment donated the gun to the RCA Museum in 1964 and has just recently borrowed it back from that museum for display in Bessborough Armoury. It is a rifled muzzle loader in good condition but lacking limber and all equipment. The stamping on the trunnion indicates R-C-E, No. 460 II 1876 and we are currently researching its past. More info on our 9 Pounder here. Check out the 9 Pounder Club. 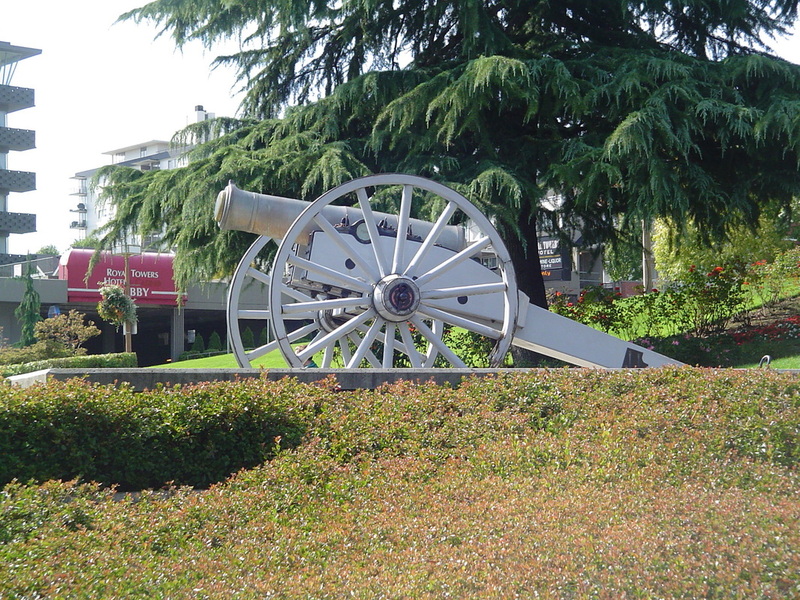 The reorganized artillery in the Lower Mainland, which was now called No 5 Company British Columbia Battalion of Garrison Artillery, received their guns on or about 1896. 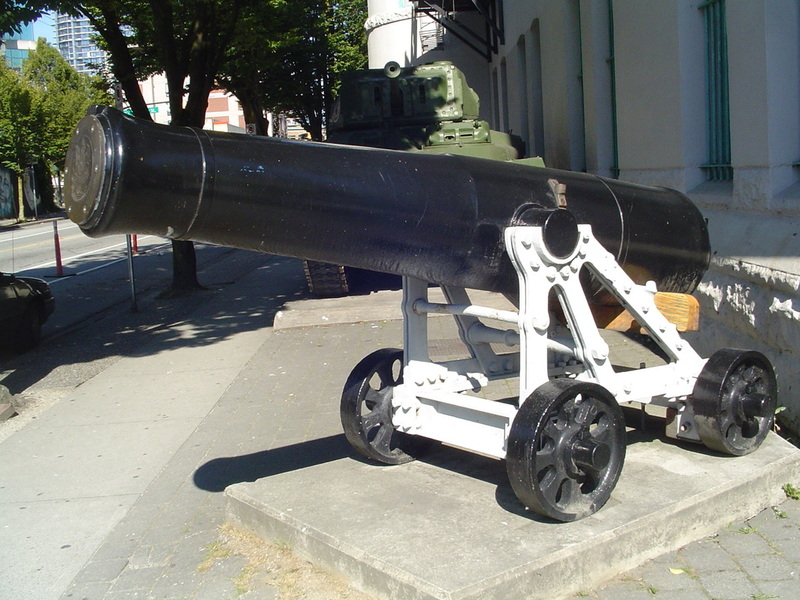 These guns can still be seen to this date with two located in front of the Beatty Street Drill Hall and one in front of the New Westminster Armoury. 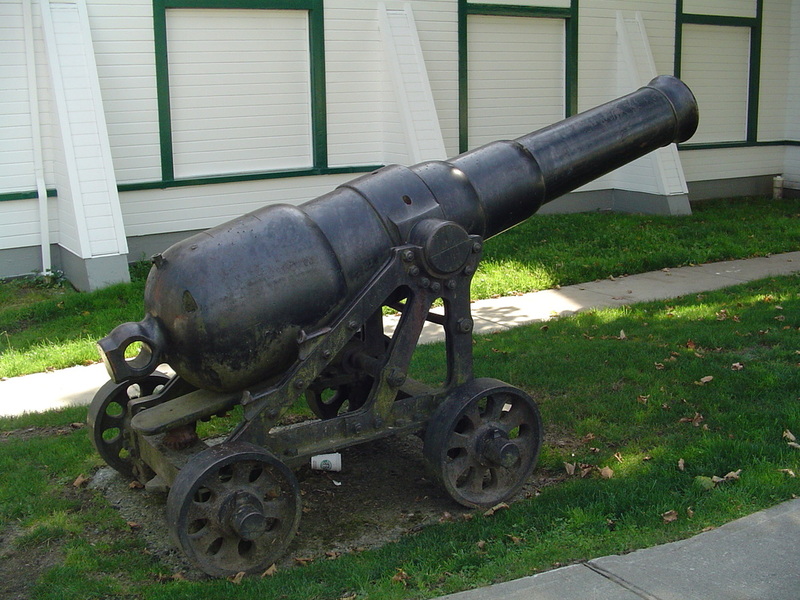 The Seymour Battery of Garrison Artillery were equipped with two of these howitzers. They are currently mounted in front of the New Westminster City Hall. They are brass, smooth-bore, muzzle loading 24 pounders on wheeled, field carriages. These howitzers, with their five foot barrels, were already of an old design when received in 1867 and rapid technical advances in gunnery soon made them outmoded. ​This barrel, located at the West door of Bessborough Armoury has a length of 6 feet for Land Service and was cast about 1810. It was one of many bored out to the 24-Pdr calibre of 5.823 inches in about 1840 for use as flanking guns on Martello Towers. The cypher is that of George III. General Sir Thomas Bloomfield was Inspector of Ordnance from 1779 to 1822 and the main designer of guns during that period. 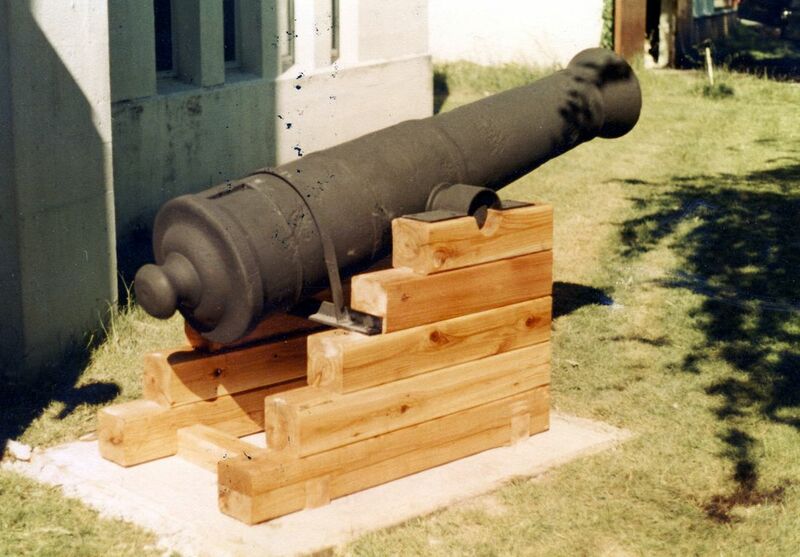 This barrel, located at the East door of Bessborough Armoury, measures 7 feet 6 inches weighing about 19 Cwt. The cypher is that of the Rose and Crown. The date period is 1703- 1707 and was probably cast by Maximillian Western Sussex.